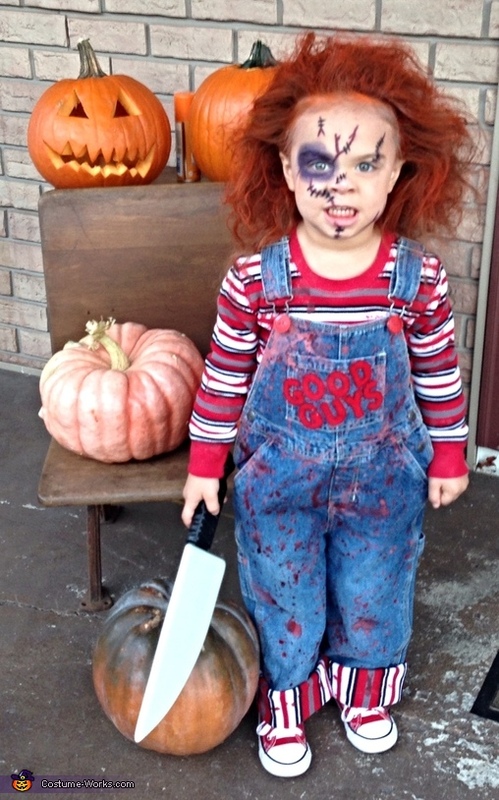 My two year old daughter is wearing this Chucky costume. I figured she was the perfect size to make this hysterical! Pretty simple to put together, nothing special was used.